Summer Teen Reading Party Winners!!!!! At last the time has come to announce the winners for May and June for Summer Teen Reading Party. If you left a comment on any of the guest blogs I did for other bloggers you had a chance to win. 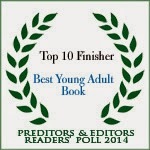 The prize is a pdf of my YA novel, If I Could Be Like Jennifer Taylor. Here is the list of winners and the blogs on which they commented. Congratulations to all of you. I hope you will contact me as soon as possible. I will also post these on Facebook and Twitter. I really enjoyed being a part of Summer Teen Reading Party and I hope I have introduced you all to a lot of wonderful YA and MG authors. I appreciate all of you who commented and wish I could give a book to all of you. :) I also hope that many of you took advantage of the almost 2 month long sale on all ebooks of the authors who were part of this Summer Teen Reading Party!!! Until the next time, thank you to my new follower and to all of you who continue to read my meanderings. Now that the flurry of guest authors is slowing, I will be going back to writing about things that affect me and introducing you to the new and awesome blogs I find. On Tuesday, June 19th I am going to be a guest on the Blog Talk Radio Show: "A Book and a Chat" with Barry Eva. I will on at 6:30PM EST and the show runs a half hour. Click on the show name for the link. You can also call in if you want or it will be in archives for those who can't listen at that time. Just when you thought it was safe to close up your Kindle or Nook, because you have gotten all the books you need for your summer reading, here comes The Unhewn Stone by Wendy Laharnar. Wendy is my guest author and we are switching blogs today. So once you finish learning all about Wendy and her new YA book, come over to Wendy's blog and read my post. This is the last of the Summer Teen Reading blogs and I think I will miss them. We only expected this to go through May, but there was so much interest we spread into June! She is a fourth generation Australian married to a Slovenian. They have two creatively talented adult children; one a writer, the other a musician, and three terrific grandkids who are happy in their employment and fast becoming independent. It is easy to be very proud of all of them. She and her husband live on the coast with Spitzli our Mini Schnauzer. Swimming in the salt water pool in summer and walking on the beach in winter are two of her favourite things. Following Ferrari in Formula 1 is also special to them.They travelled to Melbourne to see Michael Schumacher race at the Albert Park track. After their life in the city, where they raised their kids and she worked as a registered nurse in public and private hospitals, they moved to the country. 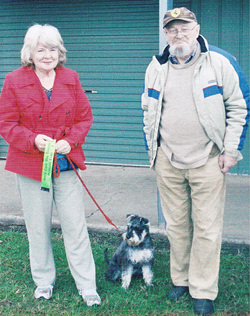 She and her husband raised beef cattle in the Southern Highlands of NSW for sixteen years. They loved the land and their animals, including their beautiful German shepherd, Tiger, and they lived an idyllic life in spite of the bitter winters and often-scorching summers. Some of their cows left a greater impact on them than others. Billy the Bonsai Bull, star of her children's chapter book Billy the Bonsai Bull, was one of them. One trip to New Zealand with their family, and four trips overseas to Europe have satisfied their long distance travel urges. They loved visiting her husband's relatives and seeing different countries – countries with so much more Western history than theirs. In Switzerland she enjoyed the time spent in Wilhelm Tell's birthplace, Bürglen, and visiting Altdorf, Lake Luzern and Küssnacht where the legend played out. Knowing this setting so well, and because of the help from her new Swiss friends, Conny and Antonia and their families, She found writing The Unhewn Stone and the subsequent amendments so much fun and very rewarding. Now, their travel plans are limited to within Australia and must include pet-friendly accommodation, which is not easy to find. She'd fret too much for Spitzli, if they had to leave her for too long. They had a party for Spitzli on her 1st birthday with three of her little dog friends. On her 3rd birthday she will have a bigger party. It will be her 21st in dog years. At the moment she's about to enter her teenage years. Obedience training is working well. She cooperates quite willingly, but does tend to talk back if she thinks Wendy has been unjust e.g if she withholds a treat when she thinks she has performed her task well enough. As a child she loved her schools and later University (UNE, Armidale) -BA in English Lit and Classical Lit. in translation. She also enjoyed her diploma course in Professional Writing - Fiction and Freelance Journalism. She likes learning so that's why it's easy for her to lose herself in research. Since she mustn't waste all that pleasure and learning, it's less talk and back to writing for Wendy. 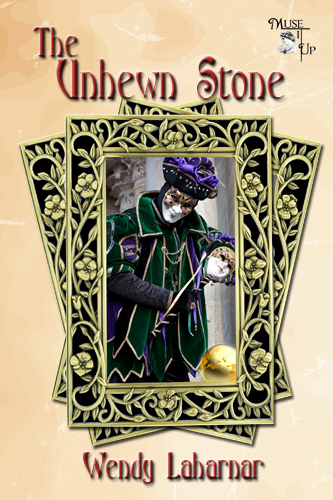 What makes The Unhewn Stone different from other Historical YA novels? story begins and ends at Christmas. made him belong to the tyrannical Gesslers. have a happy ending? How, indeed? Hehe. Why did you send Stefan from the beautiful Swiss valley and his parentsí guest house, into the Dark Ages? Didnít he have a good life entertaining his neighbours with singing and conjuring tricks? Yes butÖ The real reason? Because I wanted to experience life in the Middle Ages for myself. It wasnít that ëdarkí either. There were some pretty smart people in that era. Of course the Swiss setting in the region of the Tell legend is absolutely stunning. That hasn't changed. Given the chance, Iíd go to the Middle Ages again. Stefan has to go for altruistic reasons. He is the messenger, the Chosen One. If he can prevent his tyrant ancestor from sparking the Wilhelm Tell legend then Hermann Gessler wonít make Tell shoot the apple off his sonís head, and Tell wonít kill the tyrant. Without the legend, Stefanís family name will not be dishonoured. He will remove the 700 year old stigma. Besides, Stefan doesnít leave his beautiful Swiss valley. J He is transported to the same place, 700 years in the past, and his grandfather, a science enthusiast and magician, promises him a reward. Stefan has a complex about his lame leg and scarred face which he hides behind masks. His grandfather said heíd lose his complex and gain his heartís desire if he restores the family honour and discovers how the alchemist changed base metal into gold. Stefanís heartís desire is the lovely Ursula, even though he doesnít stand a chance with her. Being educated in the twenty first century, Stefan would be much more intelligent than his ancestors. Heíd have no trouble coping with life in the ancient world, would he? Stefan considers himself very smart, in both worlds, but almost everything he does meets with ridicule and lands him and his companions into one dangerous adventure after another. He soon discovers how vulnerable he is when his medieval cousin, Rolf, isnít around. You see, Stefan is mistaken for the alchemist and is accused of complicity in murder. Why doesnít he use his orb and go home to his own century when the going gets tough? Stefan wants to go home to his best friends Uri and Uriís sister Heidi. They accept him for who he is, but he canít, because Tell stole half of the magic orb that keeps open the wormhole. Heís trapped in the 14th century with a shape-shifting sibyl and an evil knight who hate him. For their own separate reasons, they want him dead. So does he make any friends there? Oh yes, his ancient family are lovely people from the nobility. Well maybe the tyrant governor isnít so pleasant towards Stefan, but he is decent. Of course they canít grasp that Stefan is from the future. They think he is an eccentric relative from Berne. He doesnít quite fit in, until he dresses in a harlequin costume and entertains the villagers in the old town square. I mentioned Rolf, a nobleman who has a forbidden love for Tellís wild daughter, Eva. Outsiders affect Stefan, too, honest people such as a young soldier; an innkeeper's daughter, and a Black Monk. Since Stefan is always hiding behind some costume or mask, does he have an identity problem? Haha. You could say that. He thinks pretending to be someone else would make it easier to be himself. You know, he'd have more confidence with his face hidden. And yet, he refuses to wear peasants clothes. So stubborn and proud at all the wrong times. He learns lots of things about himself in the medieval world...the hard way. At the same time he feels like a tourist from his own era and wants to enjoy his experience as much as any traveller would. Wendy's website My Imagination with a widget of the stunning Swiss setting, and the book trailer video. Amazon.com: The Unhewn Stone eBook: with 7 five star reviews and 3Ω chapters as a free read. 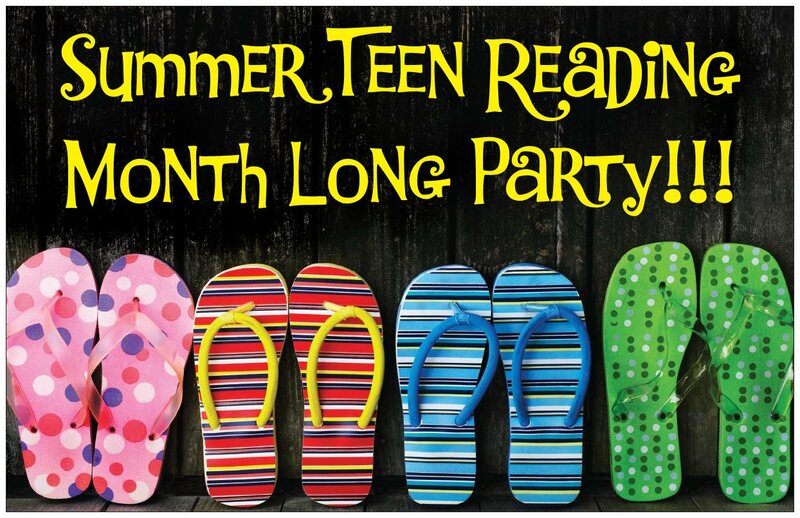 Summer Teen Reading Party Moves Into June with Guest Author, Anne E. Johnson! Whooo Hooo!! 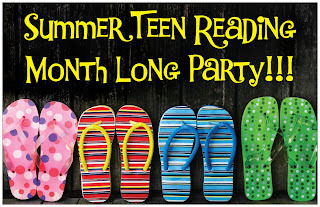 Summer Teen Reading Party is still in full swing with guest author Anne E. Johnson visiting my blog today!! She has written an MG novel, Ebenezer's Locker, published by MuseItUp Publishing's, MuseItYoung. Drawing on an eclectic background that includes degrees in classical languages and musicology, Anne E. Johnson has published in a wide variety of topics and genres. She's written feature articles about music in serials such as The New York Times and Stagebill Magazine, and seven non-fiction books for kids with the Rosen Group. Her short stories, in various genres and for both children and adults, can be found in Underneath the Juniper Tree, Spaceports & Spidersilk , Shelter of Daylight, and elsewhere, and she has upcoming works in and several magazines and anthologies. 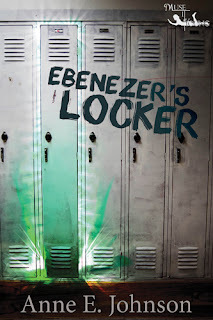 Ebenezer’s Locker is her first published novel, but she has two more due out this summer: a humorous, noir-inspired science fiction novel, Green Light Delivery (Candlemark & Gleam, June 19), and a tween medieval mystery, Trouble at the Scriptorium (Royal Fireworks Press, August). Anne lives in Brooklyn with her husband, playwright Ken Munch. Anne, you live in the place where I was born!! And you live with another writer! I've only known I've wanted to write fiction for a few years, but I've been writing non-fiction for about twenty years. 2. Did anyone influence you in your writing? Who was it and how did they influence you? First, my father influenced me. He is a journalist, so the ideas of writing for a living, writing every day, and writing fast were all normal for me. And then there are my favorite authors of fiction. There are many, but among the top few are Anthony Burgess (for his language and humor), Ursula K. LeGuin (for her characters' complex psychology), and Frank Cottrell Boyce (for his quirky imagination and his sensitivity to a child's point of view). 3. What made you decide to write a tween paranormal mystery? Mainly, I liked how different it was from anything else I'd written. When I started working on Ebenezer's Locker, I'd just finished writing a medieval mystery, Trouble at the Scriptorium (coming out in August), which had no magic in it. I wanted to do something contemporary and fantastical for a change. 4. How did you first become published? My first publications were books-for-hire I wrote for the Rosen Group in the 1990s. They were non-fiction works for tweens, on a wide range of topics. Rosen hired me because I had solid research skills. I spent a couple of years buried in the New York Public Research Library system to do those books, which was a great experience. My first fiction publication was a short story called "Airsick Over Planet Ekka," in Spaceports & Spidersilk a few years ago. You can now see that story reprinted in my series Aliens & Weird Stuff, available at Kindle and Smashwords. Ebenezer's Locker will be my first full-length published fiction. 5. Please take us through a typical writing day for you. Unless I'm in the middle of a major round of editing, or if I'm working on a special deadline, my day is typically divided into two families of tasks. In the morning, I do promotional work. This is a broad term which for me means any kind of positive Web presence. It might be doing an interview like this one, scheduling guests on my own blog, updating my website, posting on FB or Twitter, or researching other opportunities for new or published works. 6. Are you a “plotter” or a “pantser”? Being obsessively organized about all things in life, I tend toward being a plotter. That said, I'm willing to change my plan as I go, if I find it's not working out. 7. When you are not writing, what do you like to do? I love going to the theater with my husband. It's a great reason to live in New York City! I also love to cook and bake, and I play music as often as possible. I'm a pretty good singer and a really terrible pianist. And, of course, I read as much fiction as possible. Green has always been my favorite color. My favorite green is what I call "Robin Hood green," or "fern green," an intense color slightly tinged with yellow. The only explanation I have is that my eyes are green. It would be interesting to see if there's any scientific research to back that up! 9. Are you working on another book? If so, would you please tell us about it. In terms of my writing, 2012 is turning into the year of the sequel. I've completed a sequel to Trouble at the Scriptorium. I'm halfway done with the sequel to my adult noir sci fi, Green Light Delivery. And I now have plans for a sequel to Ebenezer's Locker. Of course, I have a stack of other novel plots to work on, but they'll have to wait until 2013, I guess. 10. What have you done to market your books? I do everything I can handle to market my books! I use Twitter, a Facebook author page, and Google +, I try to be a presence on several writers' forums, I hand out bookmarks, I do live readings whenever possible. And on and on. Oh, and I do blog tours! Thanks for the opportunity to be here, Barbara. You are entirely welcome! I love learning more about any writer I meet. Let's learn more about your new book, Ebenezer's Locker. Last period on Fridays we had gym class. I didn’t mind it much for most of the year. But when the weather turned hot in May, I couldn’t stand all the running around. All I wanted was to cool down. It would have been different if we could have gone swimming after school. Sadly, there weren’t any public pools in Marklebury. We had to go all the way to Lancington just for a swim. So we got hot and stayed hot. As usual, we changed into T-shirts and shorts in the girls’ bathroom. The high school had gym locker rooms, but we didn’t. Once we changed, we all tromped out onto the school’s back lot to jog in a big circle in the 90-degree outdoor oven. I was actually relieved when our gym teacher, Mr. Turner, sent me back inside to fetch the kick balls from the supply closet. Breathing in the wonderful air conditioning, I opened the door of the little room and clicked on the light. Right away, I spotted the net bag with the kick balls. But as I reached for it, the door slammed shut behind me. And suddenly it was cold, so cold all my blood turned to jelly. Just as suddenly, I burned. Every bit of me sizzled. And then a strong wind started blowing from one side of the closet to the other, knocking me against a wall. IT’S NOT E’S LOCKER. IT’S MINE. The wind swirled into a hurricane. Baseball gloves, gym uniforms, and lacrosse sticks blew upward from the floor and downward from the shelves. Balls of all sizes, golf clubs, and bowling pins circled and crashed into each other. I covered my face partly with my arms, but I couldn’t stop staring at this magical storm. Over and over I screamed, batting bats and gloves out of my face. A case of gallon jugs of cleaning fluid teetered on the brink of a shelf next to a box of bowling balls. Suddenly CRACK! The shelf came loose. Cleaning fluid bottles slid toward me. Bowling balls came hurtling down at me. I rolled up like an armadillo and hoped for a quick death. I wasn’t dead. I wasn’t even hurt. Just to be safe, I stayed balled up for a couple of minutes in case the tornado started up again or something else broke loose. But there was no motion besides my shaking body and no sound besides my gasping for air. Peeking out of my invisible armor, I looked for a pool of spilled cleaning fluid and chunks of cracked bowling balls on the floor around me. Nothing but soccer balls and baseballs. I glanced above me at the broken shelf. It was propped up with a golf club, and the heavy boxes had been pushed back to a safe position. Somebody had saved me from the angry ghost! But who would save me from the angry gym teacher? The door of the supply room flew open, and Mr. Turner braced himself with both hands on the door frame. His mouth fell open so wide I could have fit a softball in it. There were several to choose from near my left knee. I got up without meeting Mr. Turner’s gaze. My knees shaking, I dragged the heavy mesh bag of balls over all the loose debris and past him. “I hate ghosts,” I kept saying as I struggled with my load. Until the next time, my last guest author in June will be Wendy Lahrnar next week. Once more I am switching blogs with a guest author. Today welcome Christine Verstraete. She is just beginning her blog tour for Corner Cafe and this is one of her stops. In return I have taken over her blog and you will see my post there. Today I welcome Christine Verstraete, author of the kid's mystery, Searching for a Starry Night, and the nonfiction book, In Miniature Style II. In my latest story, "Perfect Timing," a rescued pup helps cafe owner Gina Mason find love and thwart a would-be robber. It will be in the anthology, The Corner Cafe: A Tasty Collection of Short Stories. 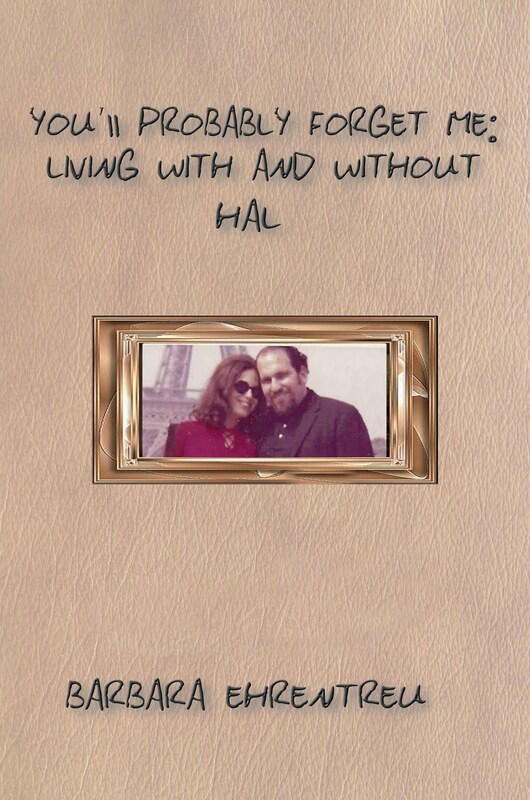 Available for (other formats coming): Kindle. Other information can be found on the stories can be found during the blog tour, links at my blog, Candid Canine. 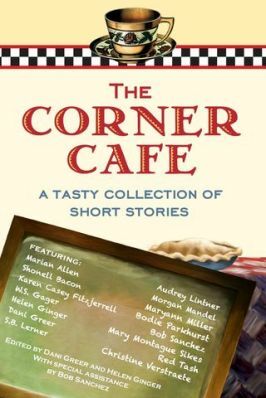 The anthology, The Corner Cafe: A Tasty Collection of Short Stories, edited by Dani Greer and Helen Ginger, supervised by Bob Sanchez and cover by Sherry Wachter, features stories somehow involving the corner cafe. 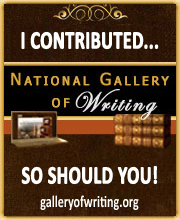 Authors besides myself include: Marian Allen, Shonell Bacon, Karen Casey Fitzjerrell, W.S. Gager, Helen Ginger, Dani Greer, S..B. Lerner, Audrey Lintner, Morgan Mandel, Maryann Miller, Bodie Parkhurst, Bob Sanchez, Mary Montague Sikes and Red Tash. I've written tons of articles, (and pulled my hair out over a few,) but I'd have to say that writing about myself has to be the hardest thing I've ever done. I always wanted to be a writer for as far back as I can remember. Prophetic wish, it seems, judging from my favorite baby photo. Of course, As the family "bookworm," I think my writing desire was a natural progression. I always read and still do, enjoying books by Barbara Taylor Bradford, Elaine Viets, Debbie Macomber, Stephen King, Mary Higgins Clark, Elaine Viets, and many others. In Searching for a Starry Night, Samantha Ann Carlton would rather spend her summer vacation anywhere but a spooky old house in Wisconsin…like Lake Geneva! Somehow Sam knows it's going to take more than a few days to find a missing painting no bigger than her hand. Maybe things won't be so bad, she thinks, since she gets to take a friend's lovable but mischievous Dachshund, Petey, and her best friend Lita. If they're lucky, the three of them can find the miniature replica of Van Gogh's "Starry Night" and help Sam's mother get it to the museum where it belongs. It's not going to be easy, Sam realizes, when she discovers her own family has some spooky secrets. Then Petey digs up an ancient curse, and Sam fears her friendship with Lita is doomed... Will they find the miniature masterpiece in time? Will Sam and Lita go home friends -- or enemies? In Miniature Style II has dozens of stunning photos, over 40 how-to projects, and profiles of talented miniaturists and their work. 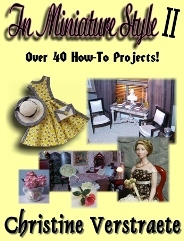 Updated features, new photos & dozens of new how-to's including half-scale and miniature doll projects by IGMA artisans and other skilled miniaturists. Well, thank you, Chris for sharing your new anthology with us and for telling us about your other books. Your novel sounds like the perfect summer read for a middle grade girl or boy!! 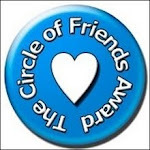 Now everyone please go visit Chris Verstraete's blog to read my post. It's getting close to summer and I hope you are stocking up on all the bargains still available at Amazon and The Muse Bookstore. Until the next time, my guest author who will be coming as part of the Summer Teen Reading Party, Anne Johnson, will be here tomorrow. So pop back in to see if you can win a copy of Anne's new novel Ebenezer's Locker. The last thing is to thank all of my Twitter friends who have been retweeting my post about guest author Jo Linsdell and her very cute picture book: Out and About At the Zoo. I hope you understand how much I appreciate it!! Jo Linsdell has been a guest on here. She is the author of two wedding planning books and now she has written a delightful picture book called Out and About At the Zoo. For any who came here expecting to read the review yesterday, I apologize. My husband's health problems have been overtaking my days. Yesterday we ran around here and there and really I had good intentions of doing it, but unfortunately it didn't happen. You know, if you have been following that he had a bad infection all through his body, but it settled finally back in his toe and leg. Now with the constant antibiotics he has been getting the infection is going away!! YAY!! However, as with his Achilles tendon problem, he has to have a wound vac. So it cuts down on his mobility a bit. Plus he is weak anyway from not using his legs very much. Everything takes twice as long to happen. This makes me very tired. So there is my excuse for not doing it yesterday when it was scheduled. Before I give my review, here are a few things about the book and the author, Jo Linsdell. 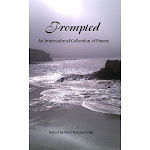 Jo Linsdell is a freelance writer, author and illustrator. Originally from the UK, she now lives in Rome, Italy with her husband and their two young sons. I have always been told that if you are going to write a rhyming picture book you had better make sure the entire thing rhymes. An author named Verla Kay has many picture books written only in rhyme. Her rhymes are excellent and I use her as a standard for good rhyming. 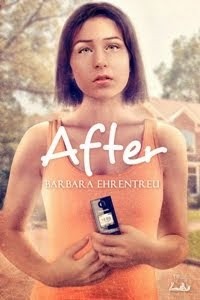 She would enjoy this book! Jo Linsdell has written a picture book with pictures that are so adorable you want to hug each animal in the book. 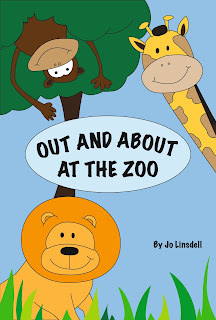 Both the pictures and the text bring a child's wonder and excitement during a day at the zoo to the reader. The illustrations leap off the page and the animals are so inviting. Each one has a smile and the text tells children what each one does. I think this would be a great bedtime story for any child or a good introduction to a day at the zoo. As a primary teacher, I recommend this highly for a beginning reader. After a few readings the child will be able to read many of the words. My thanks to Jo Linsdell for visiting and for sharing her excellent book with me. Until the next time, I hope you have a great weekend and pick up a copy of this excellent book! !